Joint Task Force X. It’s a mysterious codename with a touch of Cold War cool. And it might become more familiar to Canadians in the coming months as the National Security and Intelligence Committee of Parliamentarians begins, bit by bit, to peel back the curtain of secrecy around military intelligence activities. The joint task force, headquartered in Kingston, Ont., is home to Canada’s military spies, otherwise known as “source handlers” and “interrogators,” all of whom support operations abroad and at home. The parliamentary committee, a creation of the Liberal government, has a mandate to review the intelligence activities of the country’s security organizations. A censored version of its first annual report, handed to prime minister in December, will be tabled in Parliament this week and released publicly on Tuesday. The report will include a special focus on military intelligence, arguably the most shadowy of the federal government’s shadow services. In fact, the committee already has signalled that a further review of National Defence’s “collection, use, retention and dissemination of information on Canadian citizens” will be one of its priorities in the current year. Wesley Wark, a University of Ottawa professor and one of the country’s leading experts on intelligence, said he’s not inclined to speculate on what’s motivating the committee — but suggested it clearly has spotted something of concern. “There was something triggered in their first investigation in 2018, which has led them to this more focused investigation in 2019,” he said. CBC News asked for an interview with the head of the committee, Liberal MP David McGuinty, but he refused, as did the commander of the Canadian Forces Intelligence Command, Rear Admiral Scott Bishop. What few Canadians might realize is that the military is home to the largest intelligence organization in the federal government, in terms of sheer numbers. And while precise figures are hard to come by, it’s also believed to be the country’s second-best-funded intelligence organization. Still, the Canadian Security Intelligence Service (CSIS), the country’s civilian spy agency, and the Communications Security Establishment, the federal government’s electronic eavesdropping and cyber-service, together capture most of the public attention — and controversy. There have been quiet but persistent calls over the years for review, and possibly even oversight, of the military intelligence branch. Until the creation of the parliamentary committee, the branch saw scrutiny only from the chief of the defence staff and occasionally the Department of National Defence’s chief of review services. During the Afghan war, then-defence minister Peter MacKay ordered specific, classified reviews of the army’s handling of human intelligence sources on the ground. The detailed findings have never been released. Wark said the committee, with its ability to examine classified information, should go some distance toward alleviating those concerns. It’s important to point out that military intelligence is not allowed to spy on ordinary Canadians and its mandate is limited to Canadian Forces operations at home and overseas. And while it’s operating at home, the military usually plays a subordinate role to civilian authorities, such as the RCMP or Public Safety. “Most defence activities do not pose risks to the rights and freedoms of Canadians,” says Oct. 8, 2015 memo, obtained by CBC News under access to information legislation. In some instances, the intelligence the military gathers has a short shelf life. “Information is often time-sensitive and operations-focused rather than for investigative purposes,” said the memo. But Wark said another branch of the military intelligence command does look at the strategic picture worldwide and produces thousands of reports each year, which are read across the federal government. One specific area that might deserve some attention — and might have caught the eye of the committee — is the move among Canada and its allies towards “human terrain” mapping in overseas operations. It involves using anthropology, sociology, political science, regional studies and linguistics to help military commanders understand the local population (the human terrain) in the areas where they operate. Canada and the United States used it effectively in southern Afghanistan during the war and there have been suggestions in military academic journals that the technique of discovering “who’s who in the zoo” would be beneficial for deployments at home. Some law enforcement agencies in the U.S. are toying with the concept. 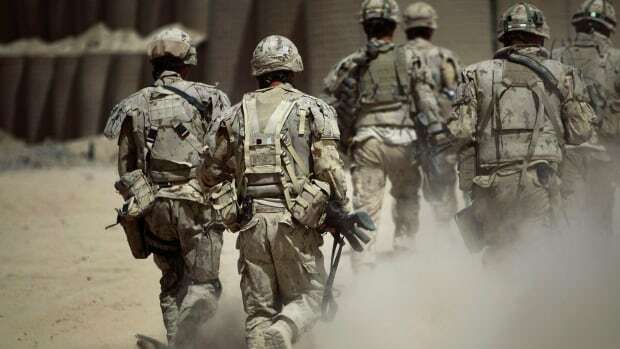 Wark said he believes the Canadian military would be largely prevented from carrying out that kind of intelligence exercise on home soil for a variety of Charter of Rights reasons. Having said that, he noted there is a variety of open-sourced demographic and social data on Canadians that could be crunched into a useful analysis.